Visiting South Motors BMW is the smart choice if you’re in the market for a new BMW or pre-owned vehicle. We have large inventories full of the vehicles you’re interested in. We also have a high-quality service center that’s equipped to handle any problems your vehicles might face. 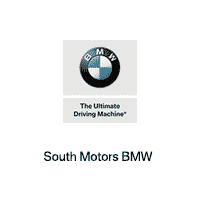 At South Motors BMW, we have an extensive selection of new vehicles in our inventory. Whether you’re looking for a family-friendly Sports Activity Vehicle or a unique Sports Activity Coupe®, you’ll find it on our lot. From popular vehicles like the 3 Series to the brand-new BMW X2, there’s a new model here for everyone. If you’re looking for a vehicle that’s previously driven, South Motors BMW also has a large inventory of pre-owned cars and BMW certified pre-owned vehicles. All of our vehicles are in top shape, and we have a wide range of makes and models. BMW CPO vehicles have a lot of benefits to them, for instance, they have to have less than 60,000 miles on the odometer and undergo a stringent inspection process. Certified pre-owned owners also get benefits such as up to 6 years of 24/7 BMW Roadside Assistance. If you’re looking for a particular automotive part, feel free to use our online BMW parts order tool to get a quote. You can also find and shop online for BMW accessories from our website. If you’re a driver in Kendall or Miami, FL or anywhere else in South Florida, make sure you stop by South Motors BMW today to get the parts and service your dream car deserves. For more information, browse our website to look at our inventories as well as our special offers. You can also call us at (855) 861-1519 or drop by our dealership at 16215 S Dixie Hwy Miami, FL 33157. Be smart. Drive South.